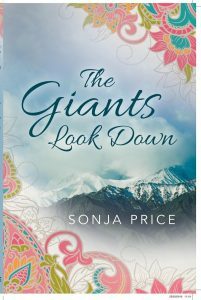 I’m delighted to welcome fellow novelist Sonja Price to my site today to talk about her amazing novel, The Giants Look Down. Why not grab a cuppa, put your feet up for five minutes, and have a read. I’ve never been to Kashmir, but I’ve based my novel THE GIANTS LOOK DOWN there. What a cheek you may say! But writers go where their imaginations take them and once mine had been ignited – by a report on the car radio of the Great Earthquake of 2005- I couldn’t put the spirit back in the bottle. I discovered that the Vale of Kashmir is breathtakingly beautiful. Some of the highest mountains in the world cradle a valley lush in sycamore woods and fields of saffron interspersed with a necklace of lakes. A spectacular place to set a story, it also boasts a rich history of maharajas, princes and princesses. But this paradise has been spoilt by strife since the mostly Muslim Vale of Kashmir chose to become part of its Hindu neighbour, India. Two wars have been fought over it and India and Pakistan still stand their ground on a glacier at the highest battlefield of the world, where avalanches claim more lives than armed conflict. There must be a story in there somewhere, I thought! 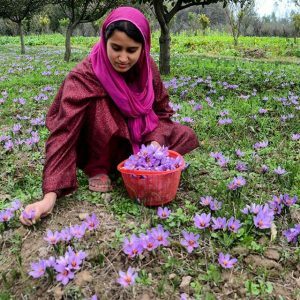 What would happen if a 10-year-old Hindu girl called Jaya decided to become a doctor much to chagrin of her mother and the patriarchal society of 1960s Kashmir? My aim was solely to entertain and amuse the reader. I did not want to take sides yet at the same time I tried to depict the situation as sensitively and genuinely as possible and drawing attention to the plight of Kashmiris could surely not be a bad thing in itself, I thought. I wanted to show Jaya growing up and negotiating the rapids of love when she falls for the son of the family she later stays with in Scotland. Does she have to choose between dashing Alastair, a student of architecture and lover of jazz music, and her dream of becoming a doctor and returning to Kashmir to build a clinic far up in the mountains? Well you’ll just have to read the book to find out! Going to Kashmir, if only in my mind, albeit with the help of online resources, picture books and interviews with Indians, has been a wonderful journey that started in my car! Author Bio: I live in Somerset but am always hopping on and off planes because I teach English at Jena University in Germany. I studied at the University of East Anglia and completed a PhD in English Literature. 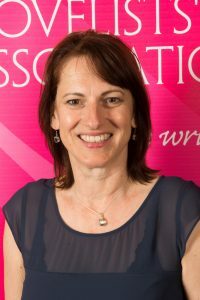 I’m a member of the Romantic Novelists’ Association and my short stories have appeared in Stories For Homes, the Shelter Anthology of Short Stories and In these Tangles, Beauty Lies, an anthology in aid of the Beanstalk Trust for children with reading difficulties. My debut novel The Giants Look Down came out in 2016 and made me a finalist for the Joan Hessayon Award. Many thanks Sonja, for a brilliant blog. Nice post – building a story from places not actually visited is a challenge, but inspiration and a creative mind are powerful tools – inspiring for fellow authors given her busy life.